The carrier promoted Kapner to EVP of comms and community engagement, effective immediately. 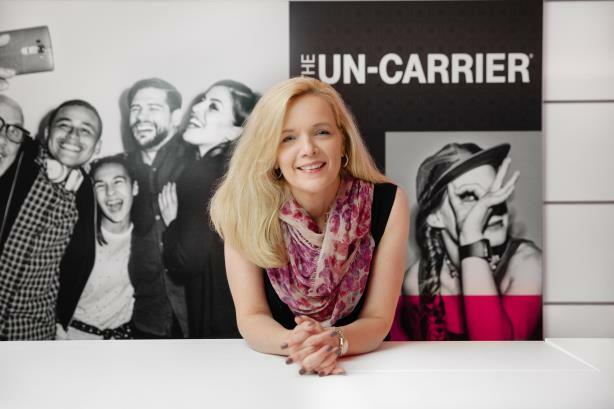 BELLEVUE, WA: T-Mobile has promoted Janice Kapner to EVP of communications and community engagement. Kapner, formerly SVP of corporate comms, started in the newly created role this week. T-Mobile’s recently renamed comms and community engagement team has responsibility for PR, media relations, internal comms, crisis management, and CSR. Kapner will continue to report to David Carey, EVP of corporate services, and retain her position on the senior leadership team. She will continue to be based in Bellevue, Washington. Kapner joined T-Mobile in 2013, tasked at the time with amplifying CEO John Legere’s voice, spearheading T-Mobile’s comeback story, and transforming communications from an internal function to a proactive, public-facing one. Prior to joining T-Mobile, Kapner worked at Microsoft in various roles, PlaceWare (prior to its acquisition by Microsoft, and eFax.com. She has appeared on PRWeek’s Power List twice, first in 2016 at number 33, then moving up four spots the following year. Legere announced the promotion in an email to staff obtained by PRWeek. "We’ve been crushing the competition for years now—and 2018 will be no exception!" Legere said in the email. "One thing has been a constant on this Un-carrier journey: great PR and internal comms!" He added that T-Mobile "showed up in just 18% of all stories about wireless" in 2014, but that number increased to 38% in 2017. The company works with Porter Novelli, Pinta, and Abernathy MacGregor, and it has no immediate plans to review those agency relationships, a person familiar with the matter said.